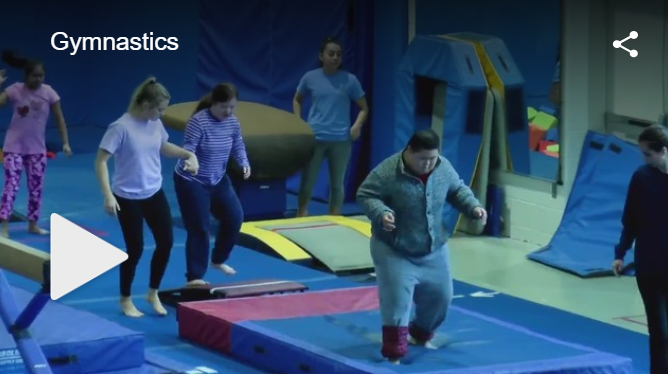 Before starting Arlington County’s Adaptive Gymnastics Program, a student named Hansen, with an intellectual disability, had difficulty walking across the gym. Every Sunday the Barcroft gymnasium’s lights are dimmed, the mats are rearranged, and a group of excited kids come to learn. “It gives you much more than a cartwheel,” said Hird Clark. “Gripping a bar translates into gripping a pen or a crayon for coloring.” Clark also says strong hand grips can improve math skills, too. Read more & watch video.